« Features & benefits – who’s the real winner? As a CEO and highly trained chartered accountant with a passion for numbers and ROI I have a major confession to make – I absolutely love my role in developing the Blue Sky culture. Yes it’s the soft fluffy stuff that’s my joint passion and I challenge every leader to truly embrace it. We preach engagement to our clients, we extol the virtues of driving performance and for me as a CEO it’s my role to lead on it and make sure it truly happens. Like all organisations we have core values and I try hard to make sure they’re not simply fancy words on a poster but we are living them and breathing them and holding ourselves accountable to each other when we’re not. A great example of making sure we embed them is our Inspire events. Every four months all our staff spend two solid days together and the agenda is simple – take time out to reflect on and live our values. We host many different sessions so for example at our June event we held a brainstorm around updating our approach to social media to demonstrate our value around Progress. Another value core to us is Being Authentic and a workshop around creating an open feedback culture was well received by staff and is something we are always striving to create. Then there was the fun bit! 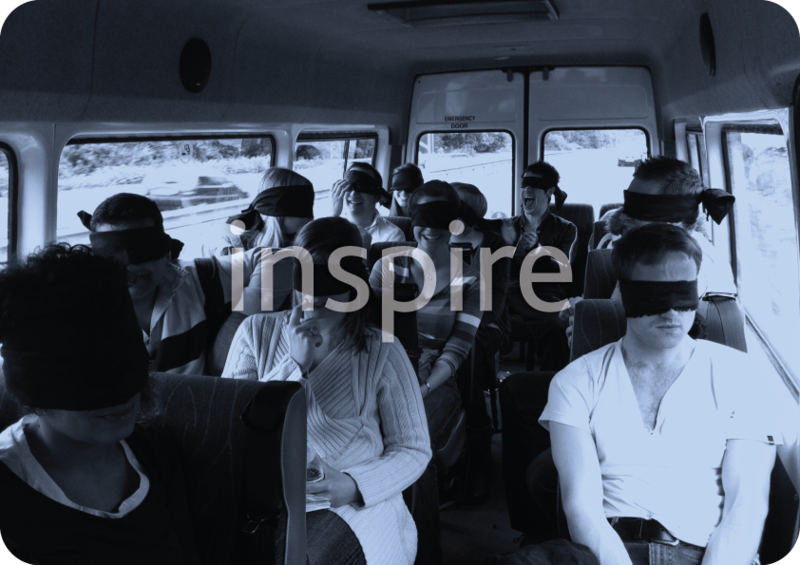 Connection is another one of our values and this time that meant blindfolding all our staff, putting them in a mini bus and abandoning them in various locations in the Sussex countryside (yes now and again a leader’s role definitely means you can be fiendish!) and make them find their way back to our secret location. Four hours later some felt more connected than others! So what do you do to lead the culture of your business and do your staff see you at the heart of it? Go on, embrace the fluffy side. You might just enjoy it! This entry was posted on July 25, 2011 at 5:15 pm and is filed under Blue Sky Events. You can follow any responses to this entry through the RSS 2.0 feed. You can leave a response, or trackback from your own site.